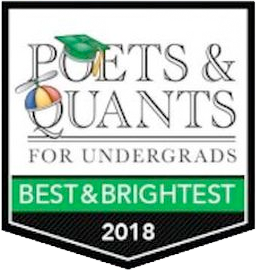 University of Pennsylvania Leaders for Tomorrow scholar Kayvon Asemani has recently been selected as one of Poets & Quants’s 3rd annual “Best and Brightest Business Majors” from the class of 2018. Kayvon is featured amongst the top undergraduate business majors from 55 undergraduate business schools across the country. Inclusion on Poets & Quants’s “Best and Brightest” is a national introduction to America’s top business leaders. 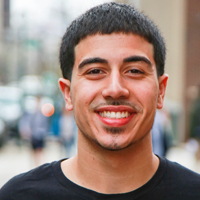 During his time at Penn, Kayvon has had the opportunity to learn outside of the classroom in both the music industry and in the business world. As a hip-hop artist, Kayvon has built a brand while performing on campus and touring across the country. He has taken his talents to various internships across numerous fields including media & entertainment, investments, and consulting. And he has even found time to give back to the community by volunteering through the Financial Literacy Community Project. As for the near future, Kayvon will be heading to Silicon Valley accepting a position at Facebook following graduation this May. See the full article on the Forbes website.